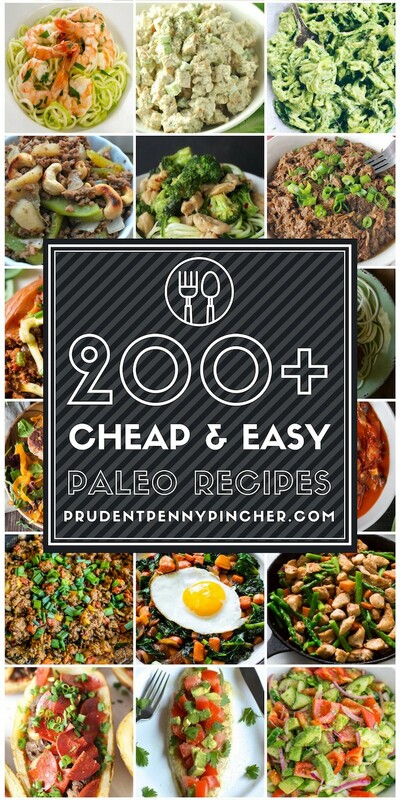 This is a comprehensive collection of the best cheap and easy paleo recipes. There are hundreds of recipes for breakfast, lunch, dinner, sides, desserts and much more. As long as you have the basic paleo staples (coconut oil, almond flour, coconut flour, coconut milk, almond butter) and a well-stocked spice cabinet, you will have most of the ingredients on hand for these recipes. Some recipes include ingredients like ranch dressing or mayo. In these instances, you can either buy paleo ranch dressing and mayo or make your own. The latter would be the cheaper option so I included recipes for how to make paleo condiments at the bottom of this post (they are pretty easy to make). Fiesta Chicken Salad from bowl of delicious! Fudgy Avocado Brownies with Avocado Frosting from Frugal Mom Eh!